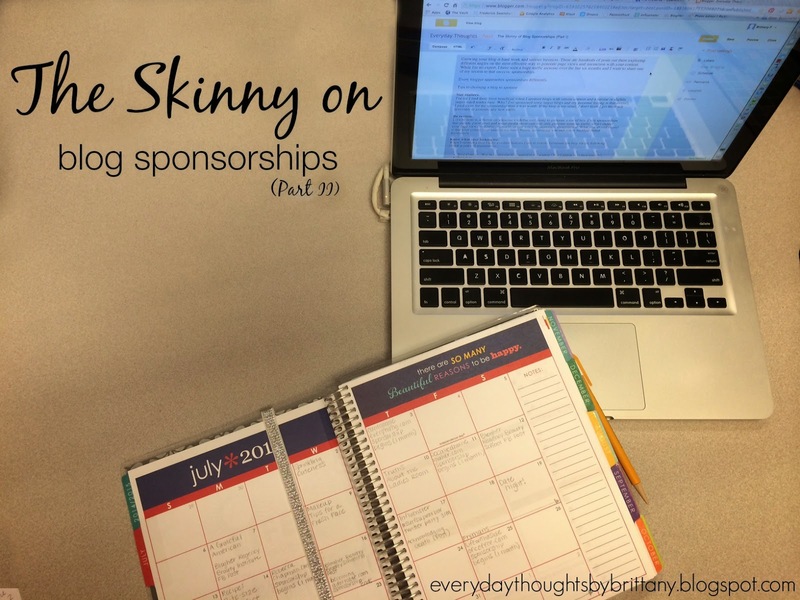 I've shared all my secrets to Blog Sponsorships in part I of this mini seriest so now I want to let you in on the real deal, who I would personally recommend when it comes to buying ad space. I've compiled a list of blogs that I have personally sponsored and loved. I can say with certainty that I will grace each of their sidebars again in the future. What I love about sponsoring Life with a Side of Coffee: Christine really engages with her sponsors and she actually cares. Plus she's consistent with posts on her blog which keeps her readers coming back which could also explains why she has over 10,000 monthly views! Christine is a TV-obsessed, book loving, celebrity watching, music finding coffee addict just getting through her 20's in this big city. I'm living life and chasing dreams while experiencing little things in-between. As a special offer to Everyday Thoughts readers she is offering 50% off all her ads with promo code: EVERYDAY. Learn more about her sponsorship options here. WOW! Engaged, aware and holy social media love! Christine is another Atlanta-based mama bear who really offers the deluxe treatment for her sponsors. Another thing I love about Christine is that she comments on posts and social media, which is one of my favorite benefits of sponsorships. 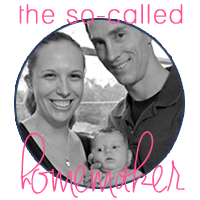 In her own words: The So-Called Homemaker is a great blog to sponsor if you’re a young woman with a lifestyle, food, or mommy blog. Typical readers are between about 18-35 and are almost entirely female. 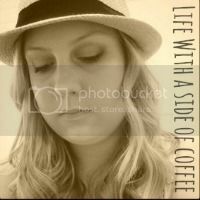 I love to promote other blogs and spend time every morning doing shout outs for the day, so you’ll be sure to get yours! As a special offer to Everyday Thoughts readers she is offering 30% off all her ads with promo code: SOCALLEDDEAL. Learn more about her sponsorship options here. I'm an Ohio girl and can't resist supporting the good ole OH-IO, even when I'm choosing sponsors. Margret is one of the most endearing women out in the big old blog-universe and she works hard to make sure her sponsors get the most for their monthly ad. The thing that really drew me to Margret is how loyal her following is. She always has a lot of comments on her posts which means that her readers are engaged and trust her. Margret describes Life After Athens as her little space on the web to talk about all things- being a newly(ish)wed, her love of all things Cleveland, owning her first home, her adorable rescue dog Lucy and basically everything in between. As a special offer to Everyday Thoughts readers she is offering 40% off all her ads with promo code: EVERYDAY. Learn more about her sponsorship options here. Ashten is honest, refreshing and offers something different from most sponsorship options. I took advantage of her Happy Hour Hangout Option, which entitles you to a Google Hangout with her and some of her other sponsors to discuss blogland. Whether that's steps for gaining more readers, how to get more sponsored posts or self-conciousness when posting selfies, Ashten allows you to submit your questions for group discussion. Ya'll this is amazing and I highly recommend signing up, like immediately! Learn more about her sponsorship options here. Raewyn is another girl that went straight to my heart - she's an Ohio State girl! But she made me adore her even more throughout my sponsorship. She offers great options that are bond to meet any of your sponsorship needs. She's also another one who is great about leaving comments on your posts, which I just love. Raewyn describes her blog as a piece of her heart posted on the internet. She tries to focus on being positive, doing good and empowering girls and women to be themselves. Her blog serves to educate and foster a discussion. As a special offer to Everyday Thoughts readers she is offering 50% off all her ads with promo code: IHEARTWQ. Learn more about her sponsorship options here. And now for a shameless plug: if you're interested in growing your blog, I'd love to help. You can check out all my sponsorship options here. Plus us promo code THIRTY to save 30% off an ad of your choice. I'm always looking for new blogs to sponsor - who would you recommend? Can you check the promo code you listed for Life With a Side of Coffee? I tried the one you listed, but it did not actually apply a discount. Also, I just signed up as a sponsor for you, and I'm really looking forward to the next month! Thanks! I'm so excited to have you! Thank you so much for trusting me as one of your sponsors. I've reached out to Christine and I'll get back to you shortly about her promo code. Yay! This really is an honor Brittany! I loved having you as a sponsor and look forward to connecting more with your readers! Oh I love Christine! I also like Sponsoring Stephanie from Not Entirely Perfect! Thanks for the advice I can't wait to check out her sponsorship options I love finding new bloggers! It should be working now! Thanks for your patience! I am new to blogging and these posts have been really helpful! Thanks! You're so welcome! I'm glad I could help. Please let me know if you ever have any questions that I might be able to answer for you. These are great recommendations I can't wait to check them out!